Publishers want lots of ‘stuff’ from authors now. Not just the book, but lots of other stuff. Content, it’s called, for online things. 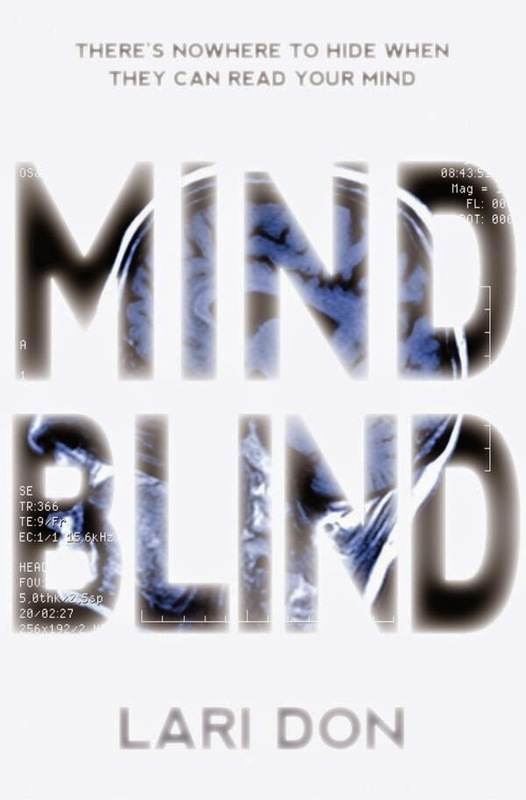 One of the bits of content I’ve given my publishers recently is a file of deleted scenes, from my new(ish) teen thriller Mind Blind. It wasn’t hard for me to find half a dozen deleted scenes, because I delete lots from my manuscripts as I rewrite and redraft. It’s not unusual for me to reduce the length of a book by 20,000 words or more between first draft and final publication. Which sounds very inefficient – wouldn’t I be better just writing shorter books in the first place? But I’m not a planner and plotter. I discover the story as I write, as I follow the characters on their journey, and that means diversions and doubling back. I never deliberately write anything that I know is irrelevant at the time, every word helps me find out about the characters, their reactions to problems and my own feelings about the story. But once I reach the end and get a sense of the main thrust of the story, it’s usually clear that I've regularly wandered off the narrative path, and that some scenes are now unnecessary. They may have been necessary to get me to the end, but they’re not necessary to get the reader to the end. So I'm ruthless in slashing them out. I reckon that if you can slice out a scene without it seriously affecting the rest of the story, it probably wasn’t that important. And sometimes I cut a scene, not because it’s slowing the story down or because it’s an unnecessary diversion, but because I come up with a stronger idea once I know the story and characters better. However, the original scene is still part of the way I got to know the character, so it’s part of my history with them. Here’s an example of that – it’s the first scene I ever wrote about Ciaran Bain, the hero (anti-hero) of the book. It’s not in the book, but it’s still the place I first met him! Of course, it’s misleading to suggest that all this slashing and slicing is my idea. Quite a lot of it is, but some of it is in response to gentle prompts from my wonderful editor. So, I have no problem removing large chunks of my first draft or even my fourteenth draft, because as I’m writing, I know that I’m just discovering the story, not finding the perfect way of telling it first time around. And I know that it takes a lot of work to make that original mess of scribbled ideas into a book. But having taken all this stuff out, why on earth would I want to show it to anyone? These deleted scenes have often been removed quite early in the process, so they’re not that polished (why would I polish them, once I’ve deleted them?) So it does feel quite weird and slightly uncomfortable, revealing these unfinished bits of my creative process to the public gaze. Even if these are scenes that I took out for plot or pace reasons, rather than pieces of writing I don’t like, they are still parts of the story that didn’t make it into the book. So is it a bit of a risk to show less than perfect examples of your writing to the world? And why on earth do it? How much do other writers delete? Are other writers happy to let the world see the bits they sliced out? And do readers learn anything about the writing process from deleted scenes? I can't understand why your publishers should expect you to provide this stuff! I wouldn't be happy to have anything I'd deleted put on the internet. On school visits I've occasionally shown children a page of heavily corrected manuscript, but that's a controlled situation and I'd never let them keep it or copy it. You don't sound as if you feel happy about this, and with good reason. Just say no! Why DO they want them? Just wondering. I mean, in films, there are always deleted bits on the DVD, among the extras, but a book? Yes, if the publisher didn't want the scenes in the book, why give them to put on a website. I'd say no. I think you'd have to be very confident that those scenes were scenes that had value in themselves and were only deleted for some other reason. Probably, as you suggest, the idea of "out-takes" being taken into the wrong art form. I'm doing a post next week on a similar topic but you've made me feel rather relieved about all the bits I've had to edit out in the past. SF writer Roger Zelazny, via Ernest Hemimgway, suggested writing a scene that you knew wouldn't be going into the finished product, but which said so,etching about your character. Then, he suggested, there would be more depth. I don't think he expected his publishers to publish them, though!